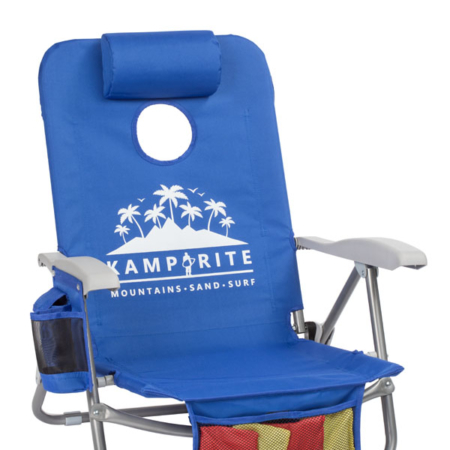 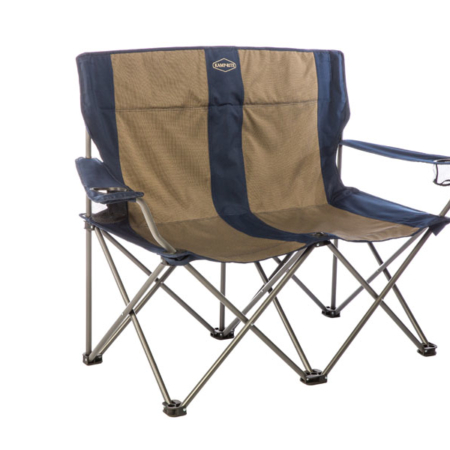 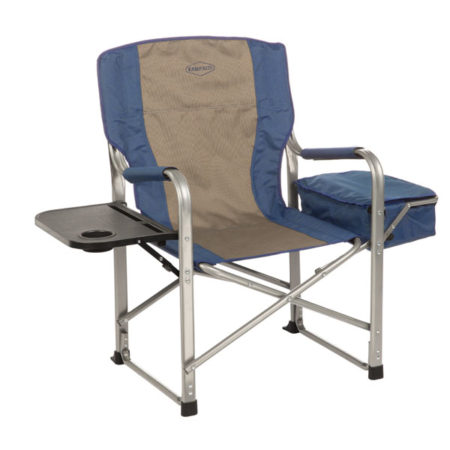 Relax in comfort and keep your essentials close at hand with the Kamp-Rite® High Back Director’s Chair with Side Table and Cooler. 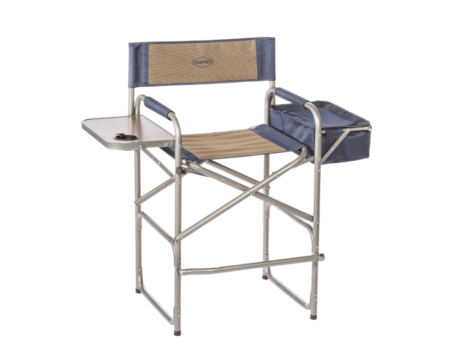 The chair features a built in side table with cup holder and an ice cooler to hold up to 12 cans of our favorite beverage close at hand. 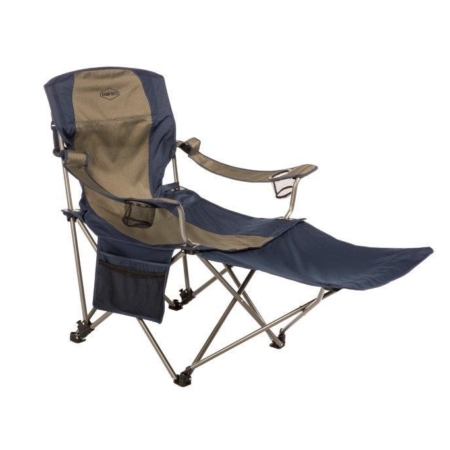 The taller seat height simplifies entry and exit, the footrest swings up and out of the way when not in use, and the strong- yet-lightweight, reinforced aluminum frame is easy to fold and carry.